On occasion, we get letters at Thrasher's Wheat that really move us. Here's one to start off 2007.
i've put this email off for awhile, since july 25, 2006 to be exact. at the time, things were too raw i suppose. now the exact memories have faded somewhat, but the the story lingers. i'd like to tell it to you. during my latest "all neil young, all the time" period, i was able to score a ticket to the "freedom of speech tour," a golden ticket a mere four rows from the front ... nirvana ... not to mention my first time being so close ... wow ... no, it was WOW!!! the guy i went with ... well, due to circumstances beyond my control, we were late and we missed most of "flags of freedom." yet as we exited the car i could hear it ringing across the parking lot and i ran for the gate, my heart singing. as i came down the steps to the floor of the amphitheatre, in that 100 degree heat, not 150 feet away, was the man himself. my jaw dropped and i said, "holy sh*t." david crosby happened to catch me in that moment ... we had eye contact, briefly ... then all of my attention went back to neil young, bent over, doing his indian dance around the fire. i somehow found my seat, my eyes still glued to neil. believe it or not, i was a bit disappointed that i sat directly in front of graham nash. 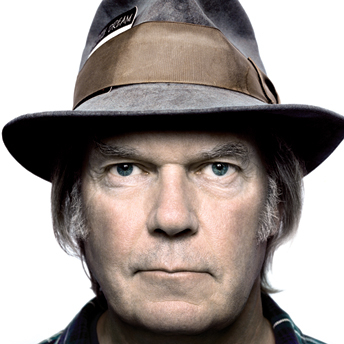 my only excuse was (and is, i'm afraid) that i am "all neil young, all the time" and everyone else simply pales by comparison. everyone. so my apologies to graham nash, he's given me great musical joy throughout the years. as that amazing evening progressed, i guess mr. crosby found my responses interesting as periodically i'd catch him looking at me and we'd have eye contact and i hope i smiled. i think i did. however, at one point, he pointed me out to neil, who glanced across at me (in that funny under-the-hat way he has) and my entire being froze, i was the deer caught in the headlights, no smiling, no brain activity ... i'm not even sure i breathed. within an all-to-brief minute it was over and he'd moved on (i can't blame him as i was pretty comatose). i glanced over at david crosby who laughed. i laughed back. i wish i'd shaken my finger at him ... very naughty to point me out to neil ... very naughty to force me to deal with that primal force of nature eye to eye. i guess i figured it was ok for me to stare at him until my eyes were pits of fire, but not so much on the returned favor. everytime he looked over, i looked away. the night descended, the heat unabated and rivulets of sweat ran down everyone's faces and god those four men played on. i loved everything, the heat, the sweat, the music, the passion ... neil young, in other words. i waited to hear one song in particular. i was 13 in 1970 and over the years i would remember it at odd times ... listening to the news ... somewhere in the middle of a long drive ... sitting on a park bench watching things go by .... it was a simple song, really, but deep and profoundly moving. i waited for it, and finally the moment arrived. pictures of young men and women lit up the back of the stage. picture after picture. everyone stood. the familiar vocals made themselves clear over the hubbub of the crowd which slowly fell silent. i felt someone tugging at my shirt from behind and i turned around to see the face of a woman, who's guarded brown eyes couldn't quite hide some pain. she asked me to please sit down. i was surprised and said, "but everyone is standing." she answered, "my son is pictured up there and i can't see him." i immediately turned back around and sat down, somewhat annoyed, my head at the level of everyone's hips. my little monkey mind frittered about with all sorts of justifications and rationalizations "... everyone else is standing up ... i can't see neil ... i can't see anything ... all i can see is the little moon of graham nash's face over someone's shoulder ... i would never sit down for a fallen soldi ..." i stopped. embarrassed. the song played on. my embarrassment deepened. tears welled in my eyes and i felt ashamed. when the song completed i stood and turned to apologize to her. before i could get anything out of my mouth, her first words to me were, "i'm sorry." i said, "i am so sorry." we hugged and my tears overflowed in grief for her, for us. for all of us. she told me a little about him and handed me a small business-type card. his name is kenneth michael ballard and he was a first lieutenant in the united states army. he died in action in najaf, iraq on may 30, 2004. he was a few months shy of his 28th birthday. her name is karen meredith and she is probably a year or so younger than i am. he was her only son from a marriage that ended in divorce. her only son. he could have been my son, but i have no children. her child died. the rest of the concert was a more intense and somber affair. i still loved being there, sang along with all of the songs ... and loved watching neil. but things were different ... tinged by deep loss and sadness. even now, some months later, i can't forget her face. i have the card she gave me about her son at my desk where i see it every day. the guy i was with watched the interaction between she and i and told me later someone was filming it. i had no idea ... it was a public moment about private grief made very very public. happy christmas thrasher. may 2007 bring peace and a remembrance that love and only love will endure ... for all of us ... each and every one. Karen, how fortunate you were to share such an intimate moment with someone you would otherwise never have known. All connected through the music. I wish the world could come to know that beautiful American spirit. Mothers and fathers everywhere can understand this womans sorrow. Peace to you all. without doubt, the face to face cost of war.I shame myself at the petty inconveniences of my life. A terrific and honest posting. I really thought after Vietnam we would not do this again. Thank God Neil has the balls to put it out there.